Whether your desire is to create an elegant, professional casino element or a high energy, audience engaging fun atmosphere, we are the best choice because WE DO BOTH! 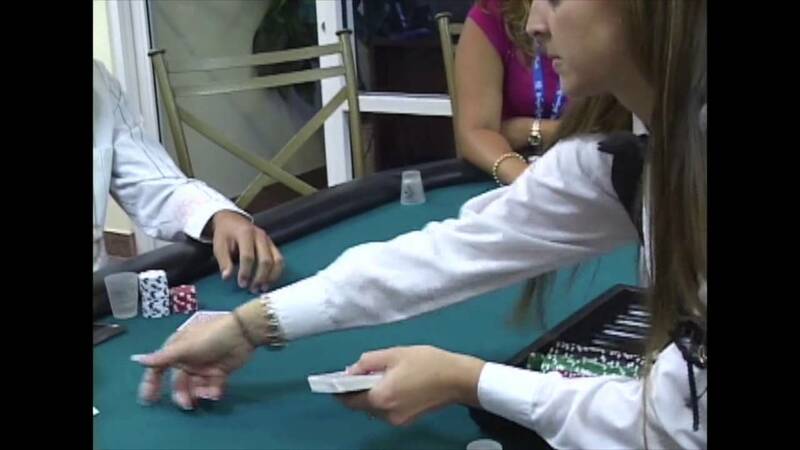 Specializing in engaging, interactive dealers and brandable casino tables for corporate events of all sizes. 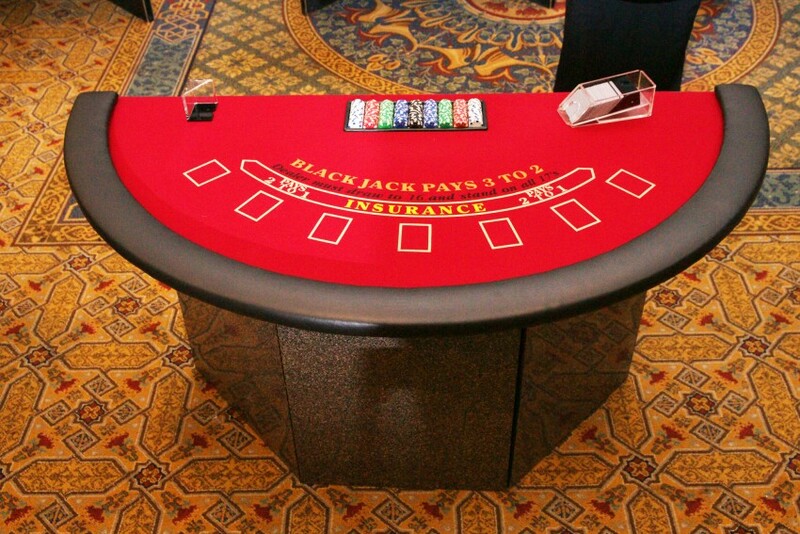 Each of our custom designed, lighted tables can accommodate nearly DOUBLE the number or players than the standard casino table. You need less space and the gorgeous lighted designs and DECOR package adds all of the ambiance you need to WOW your guests! 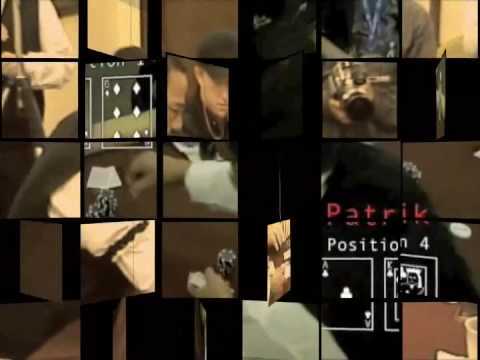 HUGE inventory of blackjack, craps, poker, roulette, wheel games, horse racing and other games. Available for a corporate events or fundraisers throughout Florida. 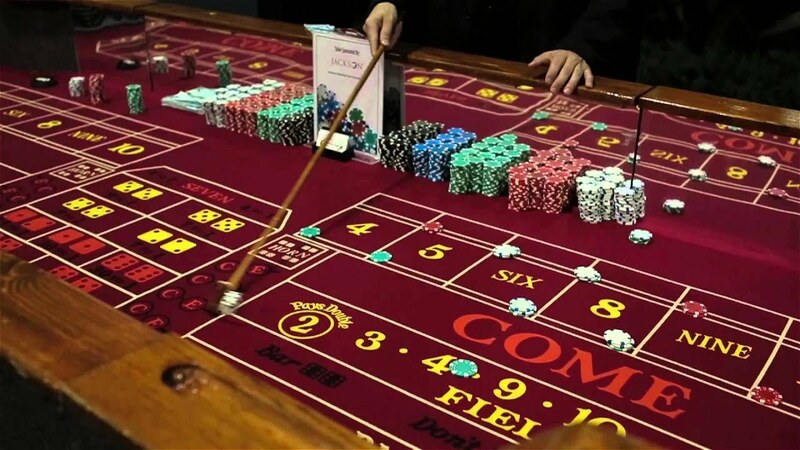 Our dealers are neatly groomed professionals who stand ready to coach the novices and impress the experienced gamblers. Clients have the choice of (1.) standard casino attire "black and whited Tux shirt and black vest (2) Formal attire - ladies black cocktail dresses, men full tux (3) Theme attire - we have costumes for 80's, Disco, Tropical, Latin, 007, Mardi Gras, St. Patty's, Christmas and more. The guests will find our dealers to perform as directed. 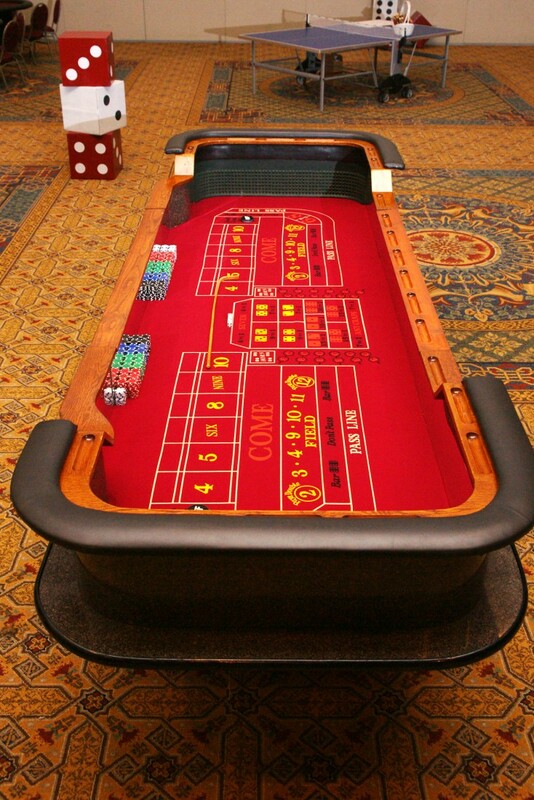 Whether that is to deal a "straight game" for a fundraiser, in a professional although far more elegant atmosphere....or our game attendants and "party guy" (pit boss) will dance and rev up the crowd with our "EveryThing's Wild Casino Party" concept that creates a PARTY at every table! WE ARE THE ONLY COMPANY NATIONWIDE THAT DOES BOTH! The Party Corp is has been in business in Florida for over 20 years. Our services are geared to meet the highest expectations of event professionals and their clients. From the first contact you will know that our aim is to become "the company that you always use." Your request will be handled immediately so that you can deliver on your promises. We are always working with you to elevate your reputation in your client's eyes. Our policy is strictly not to offer or promote our name or contact information when we are working for any agent. We will go one step further and "BRAND" our tables with your name or your client's name at no additional charge! The absolute best show we can give a client is when one of our own DJs perform with us, because our dealers perform on cue! We can provide expanded sound systems tailored to the casino needs - regional speakers that provide ample sound but allow conversation. This is why we are uniquely prepared to offer our shows to thousands of guests with 100% participation!! As a professonal Disc Jockey service we can play to any crowd children - teens - college - adults - seniors - all men -- all women and have extensive experience with all of these groups. We began as an interactive Disc Jockey Company with audience engaging fun and Team Building. Over the years we have continually established "the bar" that all other companies aspire to achieve. We are the leaders, innovators and the "fresh idea" company.